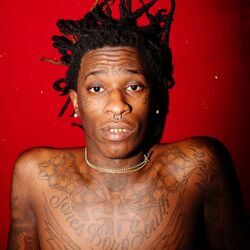 Discover more playlists and music by Young Thug on PLAYLISTED. Like Tussin (feat. Young Thug), Fall Threw (feat. Young Thug & Gunna), Proud Of U (feat. Young Thug) and Lesbian (feat. Gunna & Young Thug).